Founded in 2018, Vertbase is a highly secure and user-friendly digital currency platform for buying and selling cryptocurrencies with US Dollars. Vertbase was born with the aim of finding a solution to the complex, time-consuming and expensive process of trading altcoins on most crypto exchanges, which tends to prevent non-experts from engaging in crypto trading. Coinbase is a great platform for only few cryptocurrencies, but there are many other coins with high value that cannot be traded on the Coinbase exchange. Looking at Coinbase and the challenge around coin trading, Justin Seidl and Stuart Menzies, co-founder at Vertabse, created a digital altcoin trading platform that is user-friendly, super-fast and highly secure. A Coinbase for altcoins, but only the one with legitimate projects and strong use cases, particularly those Vertbase believes can change the landscape of finance: DigiByte, Vertcoin, Bitcoin, Litecoin, Ravencoin and Decred. In the latest episode of FinancialFox, Justin Seidl was interviewed by Blockchain PR expert Stefania Barbaglio, where he talked about how he came to create and design Vertbase, and shares his views on the altcoins to watch. The mission behind Vertbase is to give visibility and market exposure to altcoins with high use case value. Altcoins are considerably less expensive than coins such as Bitcoin and Ethereum, and in some cases are more sophisticated and highly developed. Over the recent months, cryptocurrency exchanges have been in the spotlight over coins being delisted and alleged extortionate listing fees required by prominent exchanges. These controversies highlighted the need for corrections in the way the crypto market works and the challenges that need to be overcome. They also prompted more calls for further decentralisation and transparency among exchanges. Indeed, the current lack of regulatory frameworks leaves room for inconsistent practices. Different cryptocurrency exchanges can offer various types of cryptocurrencies, with different terms, policies, payment methods, and fees. Exchanges also differ on aspects such as security, user-friendliness, functionality, and design. Some of the advantages Vertbase offers users is 100% non-custodial transactions that allow users to send coins to any wallet of their choice. In the spirit of co-operation, Vertbase also gives a portion of trading fees back to the community to continue development. Moreover, with security reportedly the biggest worry among cryptocurrency traders, Vertbase is equipped with a robust anti-money laundering monitoring system. Furthermore, its system requires two-factor authentication, granting access to authorised users only, while the website and apps are fully secured with 128-bit encryption. Vertbase is registered with FinCEN and operates with full compliance and procedures under all US federal and state laws. This January, Vertbase donated 50,000 DGB to the DigiByte Awareness Team to show their support of the project and DigiByte’s vision. “DigiByte has proven strong use cases, which include security features utilising the Digibyte Blockchain. Digibyte has some exciting plans and projects, so we have no doubt they will continue to be a major player in this industry,” says co-founder Justin Seidl. Vertbase Founders Justin Seidl and Stuart Menzies will also be presenting at the DBG summit. 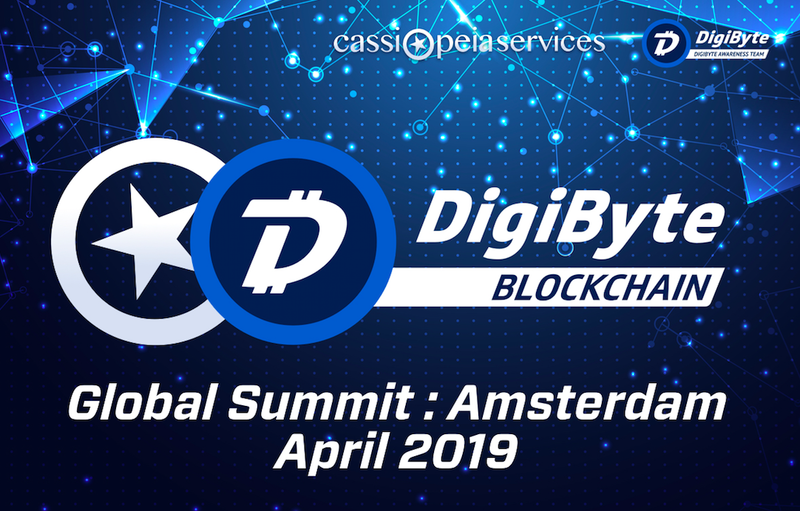 The DGB community can also expect more news and updates on DGB projects to be released during the first global DigiByte Summit, taking place in Amsterdam on 19th April 2019. The theme of the Summit is ‘The Power of Decentralisation’ and its agenda will expand on the multitude of possibilities and uses enabled by decentralised technologies.